As we look upon the year ahead, it’s hard to escape the atmosphere of uncertainty constantly featuring on our media channels day in, day out. 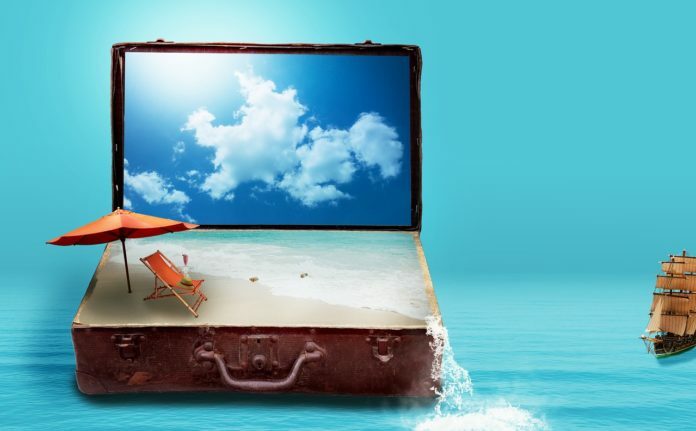 The good news is that some things in life are still certain; people crave connections and experiences, with travel becoming more of a human need versus a discretionary luxury. Richardson says at times of uncertainty, travellers will look to travel with trusted companies with excellent reviews and a 97% independent traveller satisfaction rating. A recent research study conducted by Trafalgar revealed that people’s stated ambition is to live “The Good Life” – defined in the study as being able to relax, enjoy time without stress; connect with loved ones and remember what’s important; to be surprised, to learn something new and experience something different. The research indicated how travel strongly influences people’s ability to live “The Good Life”, with 93% of respondents saying ‘good travel’ gives them the distance from everyday life to stop, switch off and reflect. “Good travel happens when we don’t have to worry about the logistics, stress of missing out and making sure everything is taken care of. It allows us to relax and gain perspective on what’s important. When we spend time with local people, doing authentic things, we learn something about ourselves. “As we move into 2019, we see that people will travel, because having this kind of restorative experience during uncertain times is more important than ever,” says Richardson. Ultimately the study revealed that living “The Good Life” is about happiness, wellness and doing something new and having experiences, not collecting things. As the category leader in immersive travel experiences, only with Trafalgar can guests enjoy exclusive inclusions like Be My Guest, where guests discover the heart of a destination from those that know it best – the locals themselves. The first brand to champion this type of true local experiences 10 years ago, dining with an Italian Count in his villa, exploring a Norwegian farmhouse once held by kings and exploring the 17th Century French homestead of one of President Kennedy’s advisors are just a few of the 103 exclusive Be My Guest experiences in store. Other inclusions like hands-on cooking lessons with local chefs in Paris and Florence, and dining after-hours in the Vatican are just a taste of what’s in store on Trafalgar’s unmatchable itineraries. Giving back is also a key part of Trafalgar itineraries through more than 80 JoinTrafalgar initiatives that positively impact as they travel. Guests will discover how Trafalgar makes a difference through supporting World Heritage Listed Sites on 63% of itineraries, visiting female artisans at social enterprises like Iraq Al Amir Women’s Cooperative in Jordan, learning from a fourth-generation Umbrian weaver or experiencing centuries old farming traditions with nuns at a Convent in Austria to name but a few. “Coupled with the fantastic value-for-money, travellers will also enjoy 10% off their 2019 holidays to Europe and Britain until 31 January 2019. Along with our rand guarantee, which fixes the rand price of your holiday, no matter what the rand does, there’s never been a better time to get the very best holiday and make travel count in 2019,” concludes Richardson.